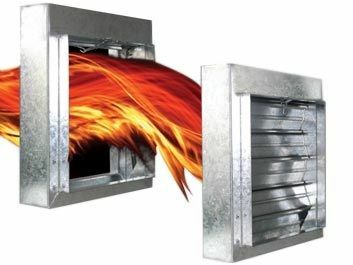 Shanghai Wright Bros designed and produced fire damper auto lines since 2006. A fire damper frame auto line, fire damper blade auto line, fastening table and other fabricating moulds and machines can achieve high production fire damper production. We developed also the first PLC-controlled auto line for fire damper frame. It consists of decoiler, straightening, grooving, notching, roll forming machine as well as folding machine. It is suitable for different size damper manufacture. Maximum speed is 13m/min. With this machine you can have a fully automatic damper workshop, which reduces the labor cost greatly. The Fire damper frame manufacture auto line can fabricate two kinds of frames, newly designed hand fold integrated frame and TDF corner fastened frame. Two kinds of frames to be fabricated in one machine, reaching different requirements with no doubt.